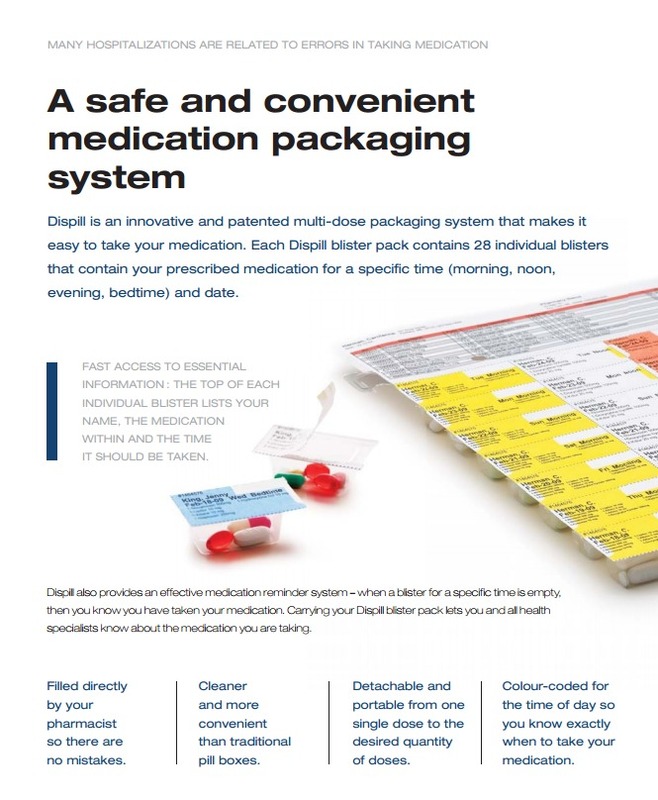 DISPILL is a patented system that lets pharmacies deliver prescribed medication to consumers in an all-inclusive blister pack. 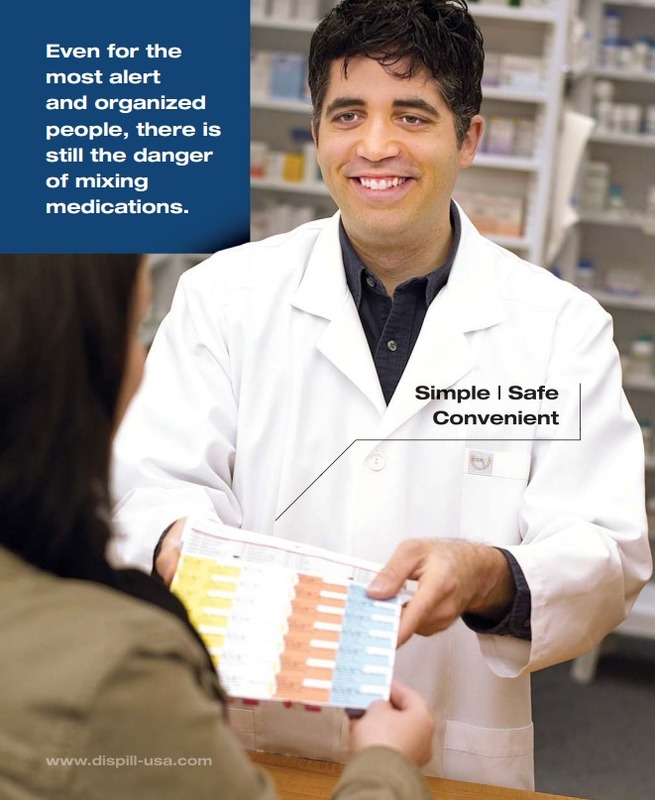 Each sealed blister thereafter contains all of one consumer’s prescribed medication for a given intake time (breakfast, lunch, dinner, bedtime) on a precise date. 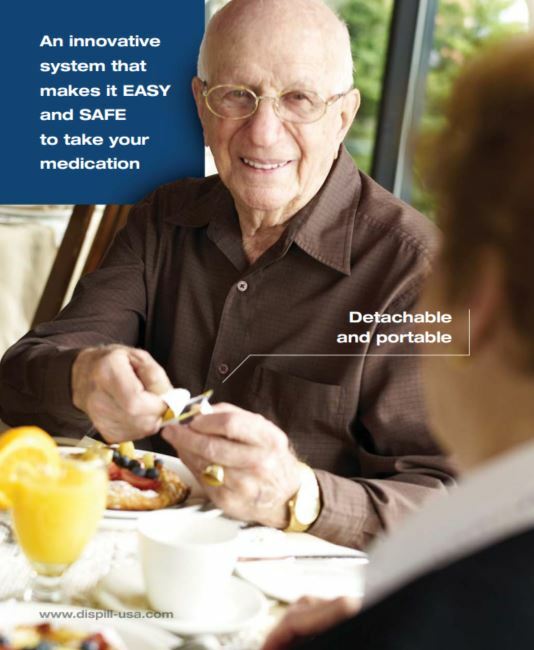 Please view the following pamphlet for more information about this system.